Whole plant power right in your pocket. 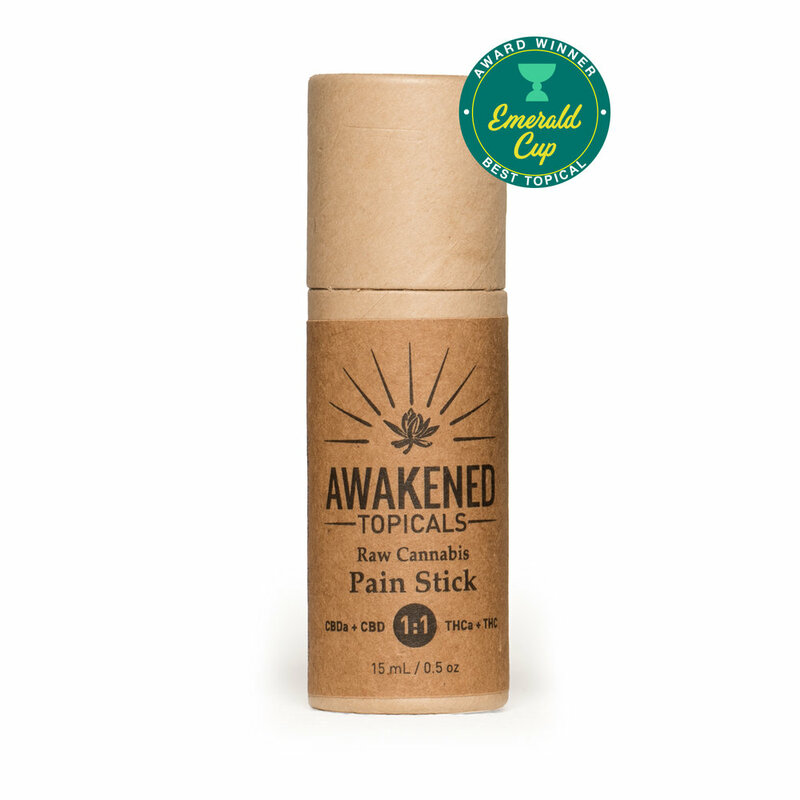 The Pain Stick has all of the same anti-inflammatory and analgesic properties as our full-sized balm in a convenient, portable applicator. Perfect for the beach, camping, concerts, or just running errands, you can toss the tube into your bag and worry less about pain flare-ups throughout the day. Non-psychotropic formula. Available in 15 mL size. Push the tube up from the bottom to expose the balm. Apply liberally to affected area and gently massage into skin until fully absorbed. Repeat 3-5 times daily as needed. Store in a cool, dry place. For external use only. Whole Plant Cannabis, Extra Virgin Olive Oil, Grapeseed Oil, Candelilla Wax, Whole Leaf Aloe Vera*, Calendula Flowers*, Myrrh Gum Resin, Frankincense Resin, Jojoba Oil*, St. John's Wort*, Vitamin E Oil, Essential Oils of Lavender & Vetiver.